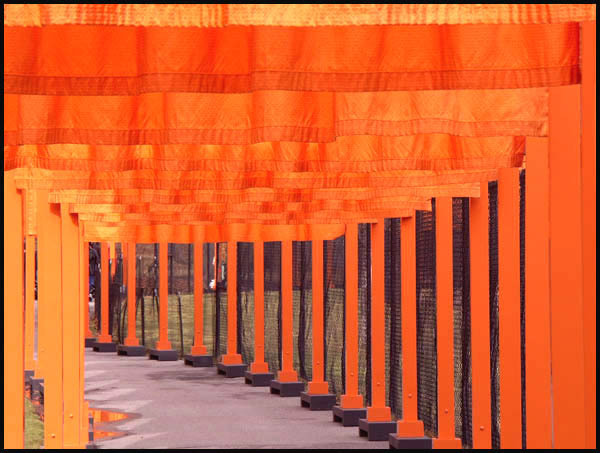 Links for your delight and entertainment! 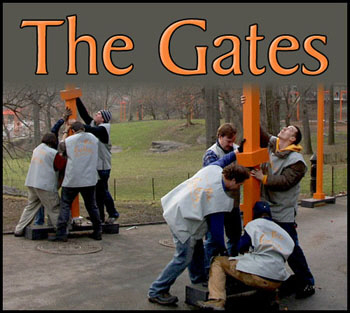 Cristo's The Gates art project. 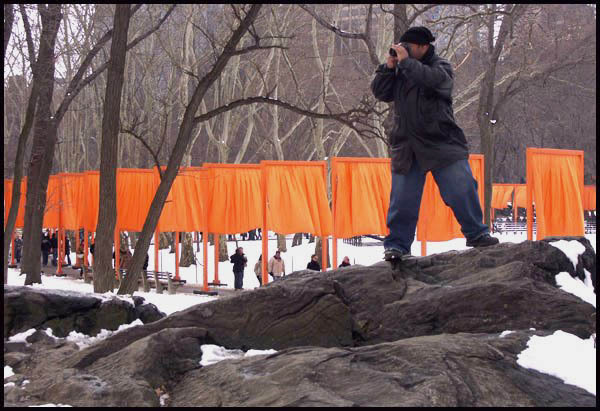 My photographs of THE GATES are NOT available for sale. 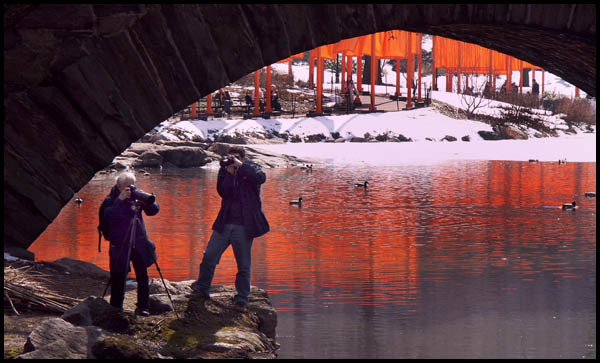 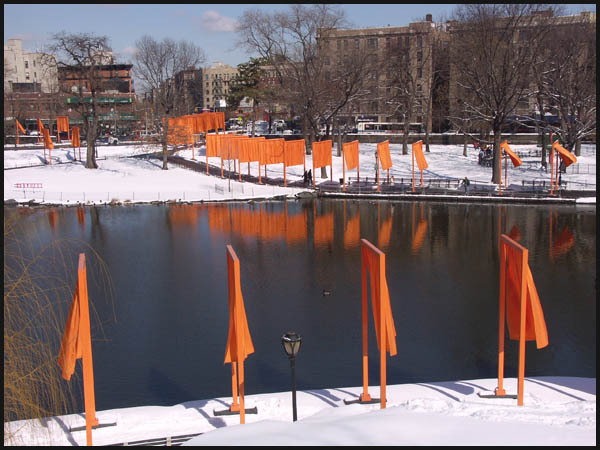 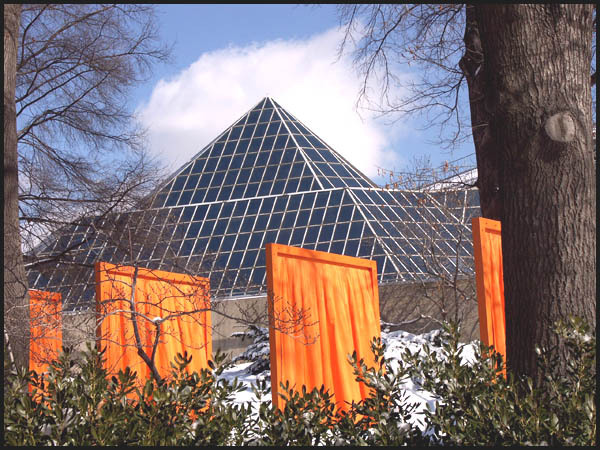 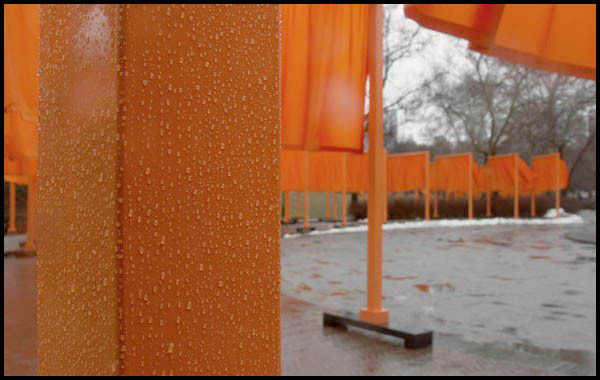 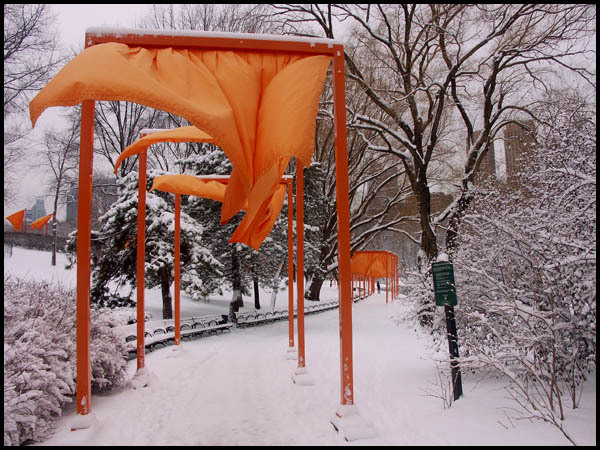 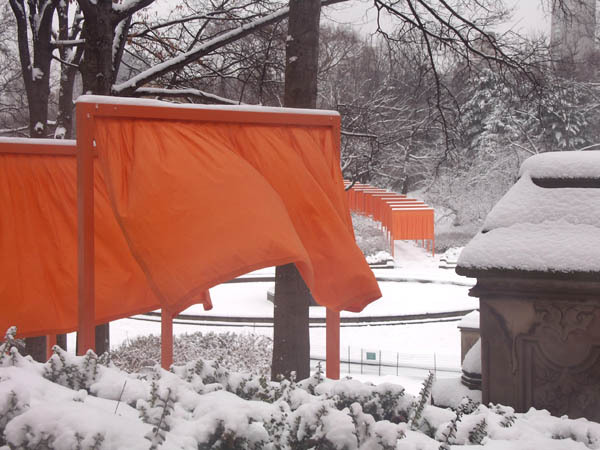 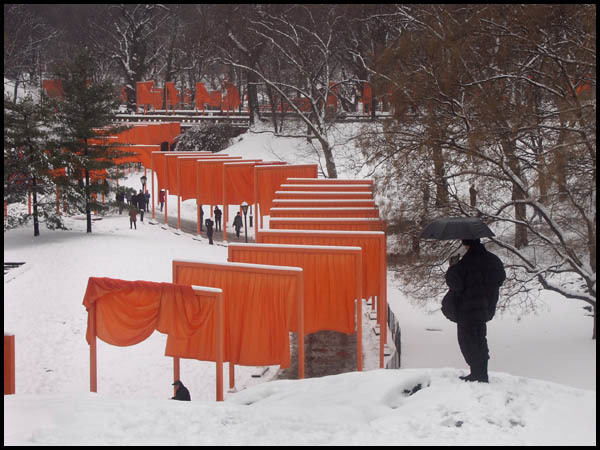 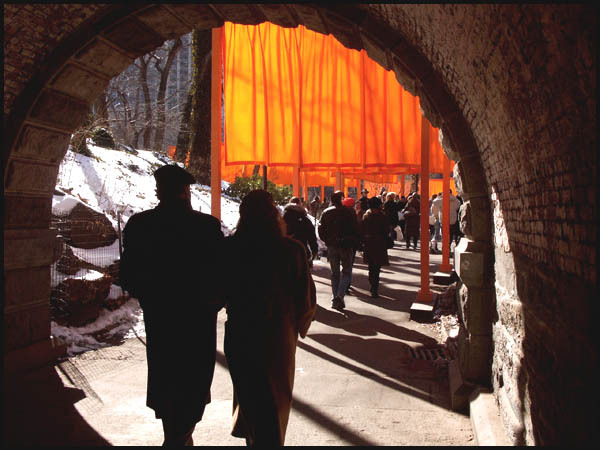 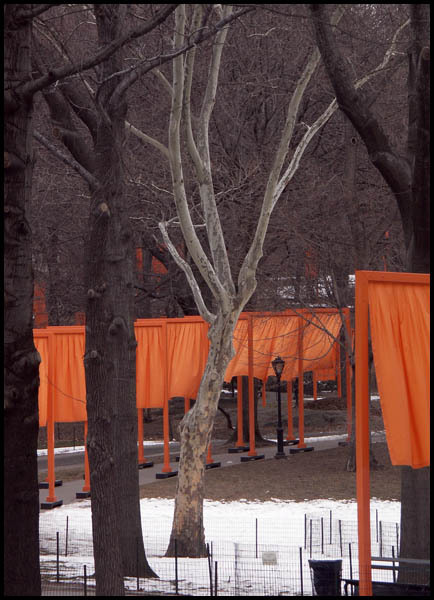 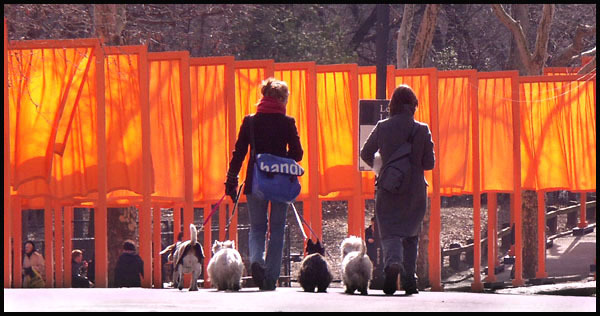 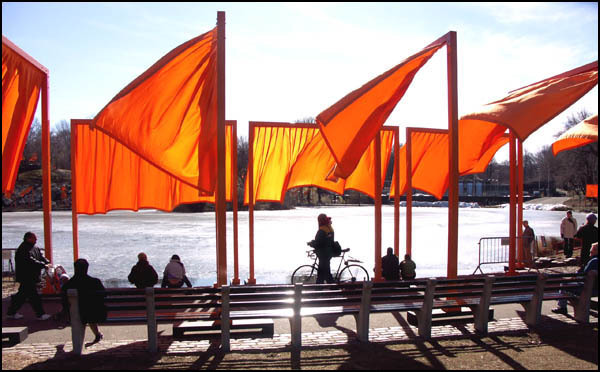 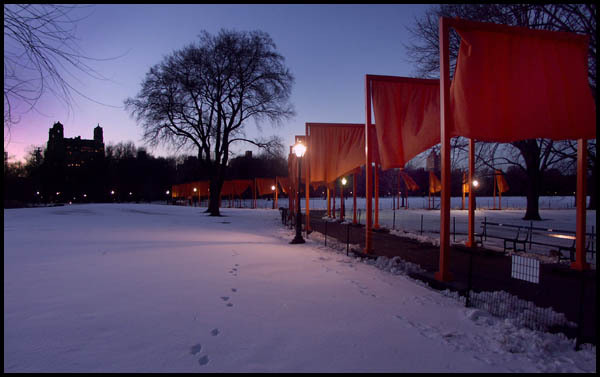 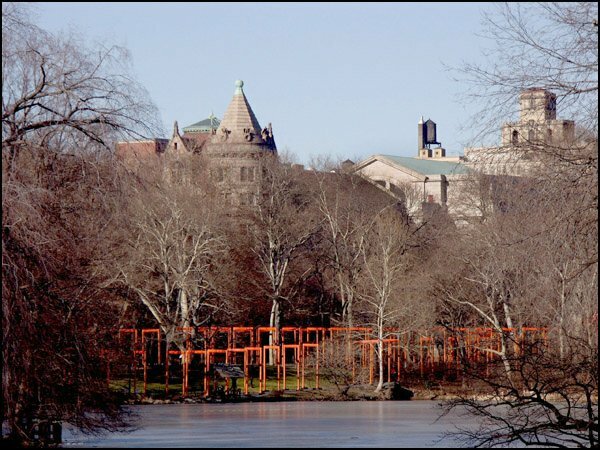 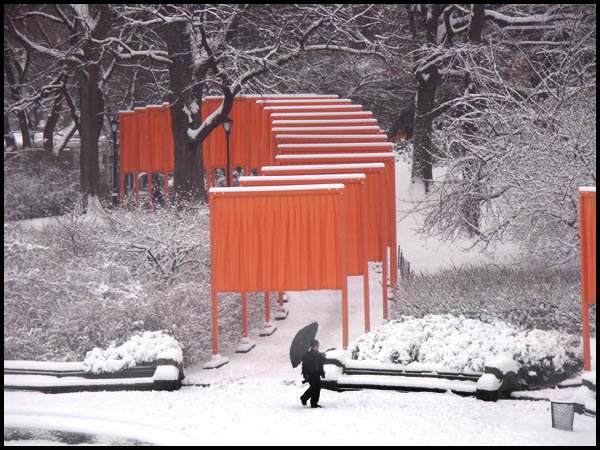 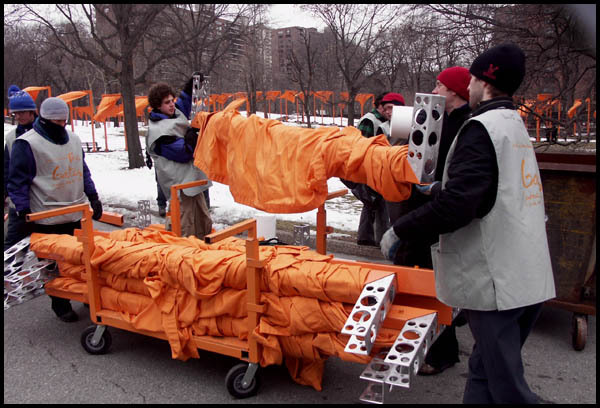 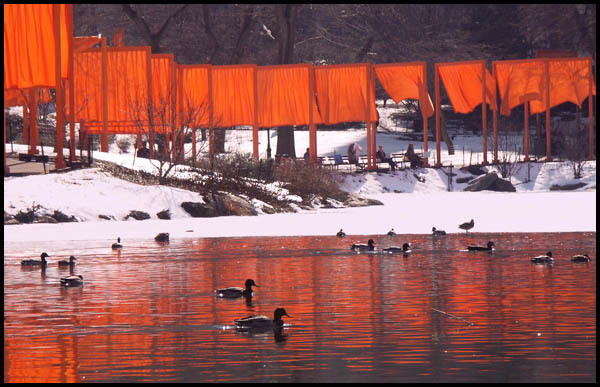 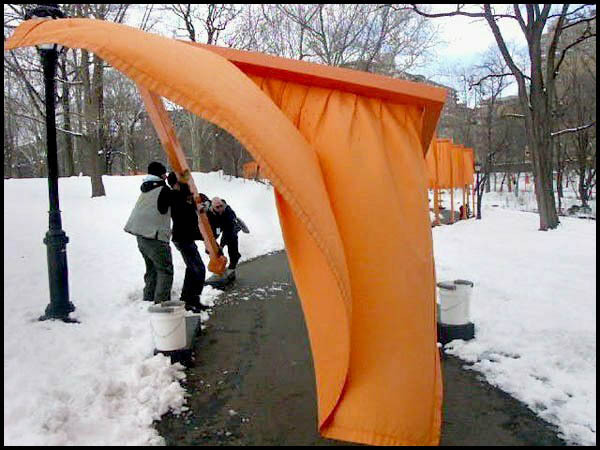 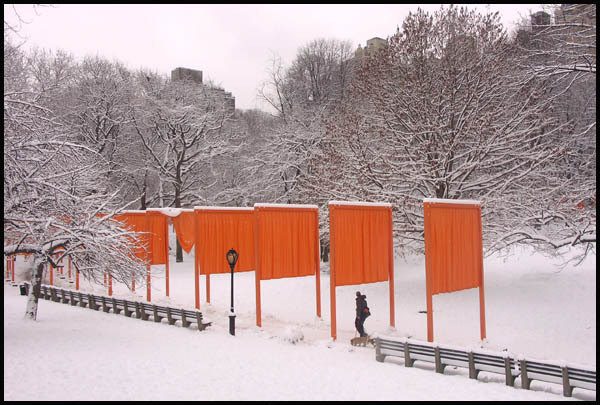 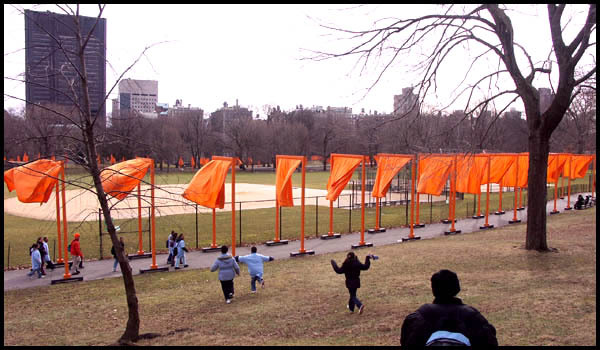 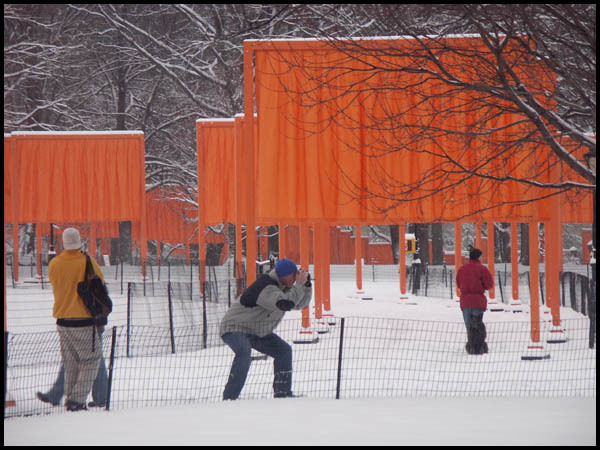 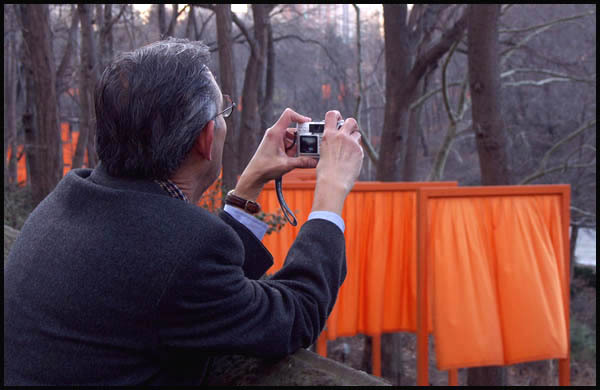 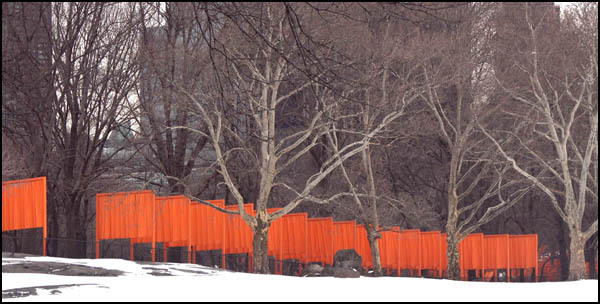 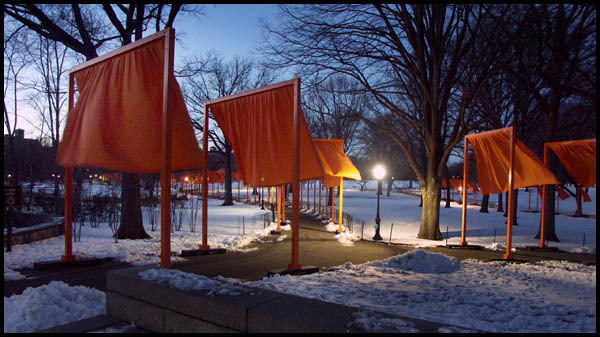 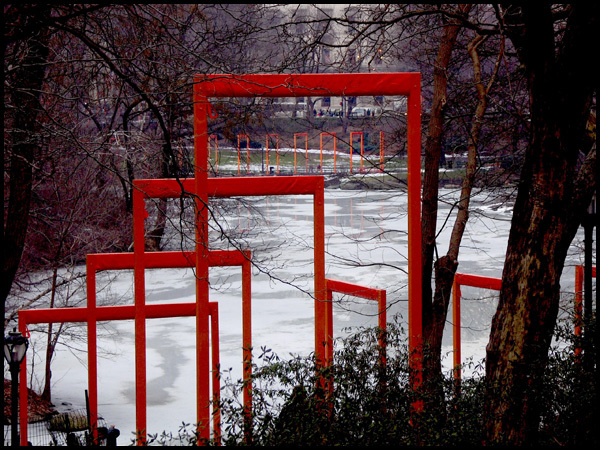 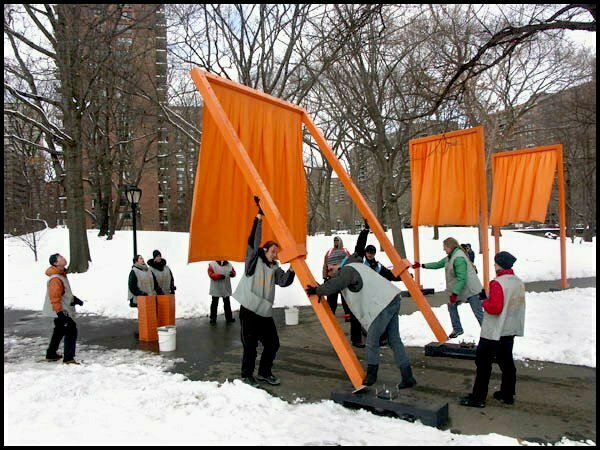 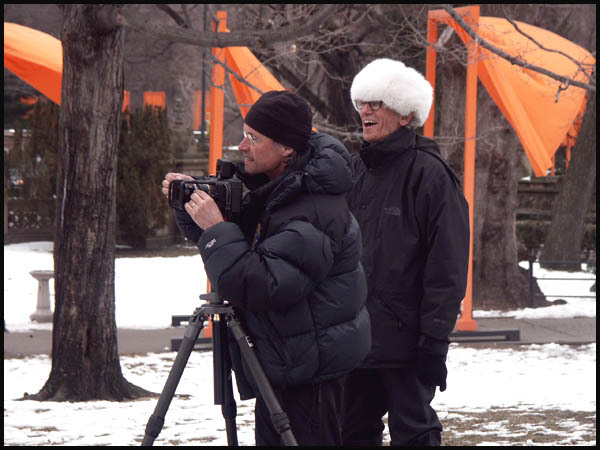 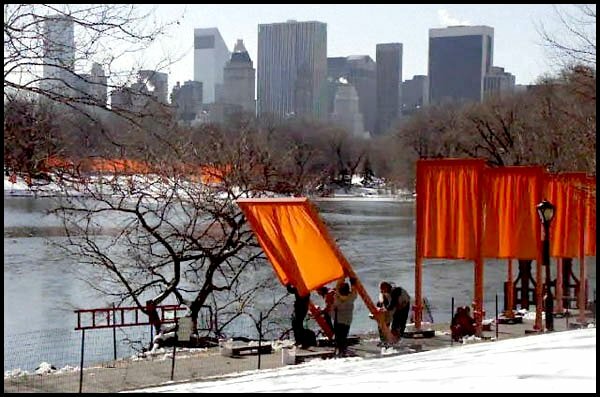 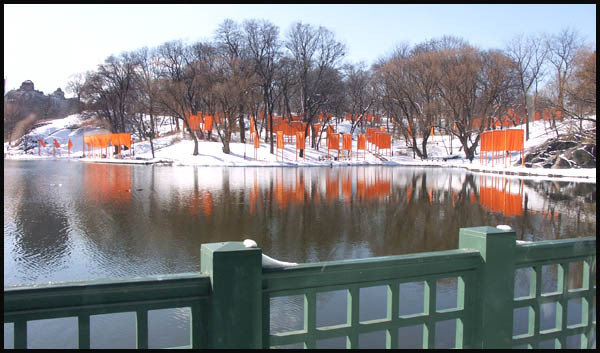 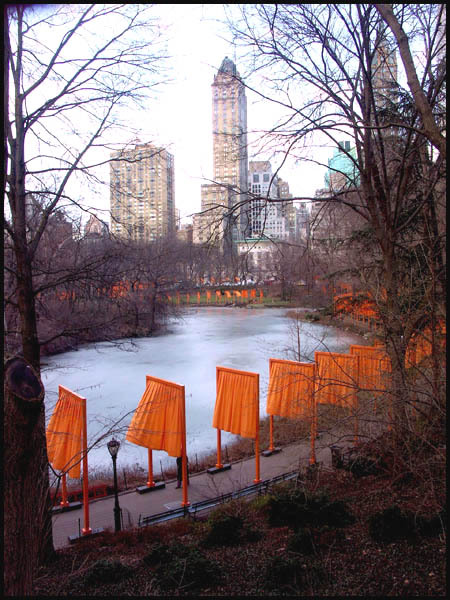 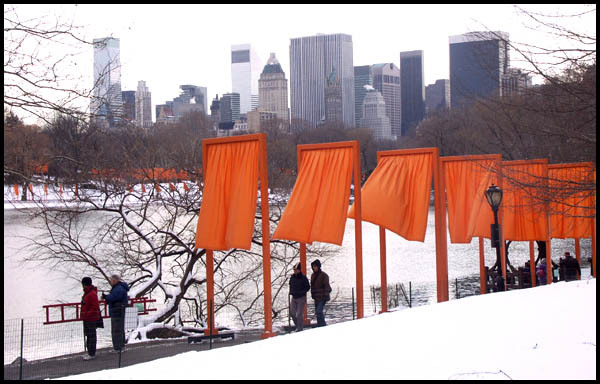 * Christo and Jeanne-Claude developed the concept for The Gates in 1979. 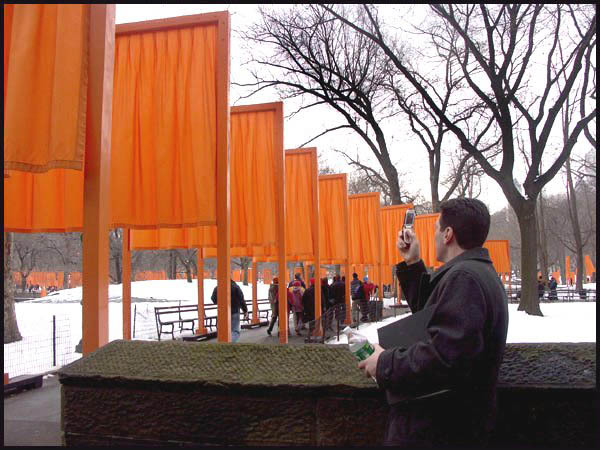 On January 22, 2003, the City granted permission to the artists to realize their vision. 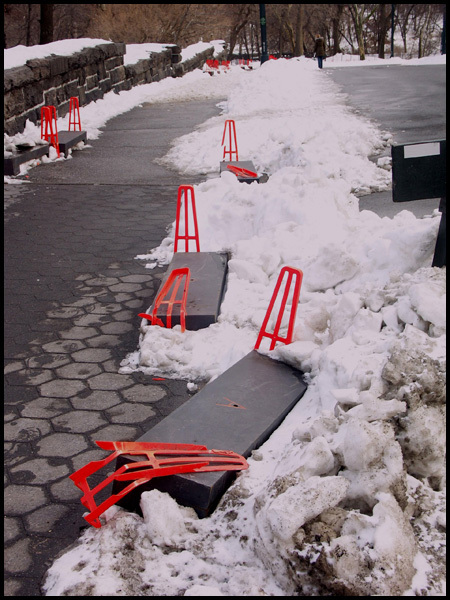 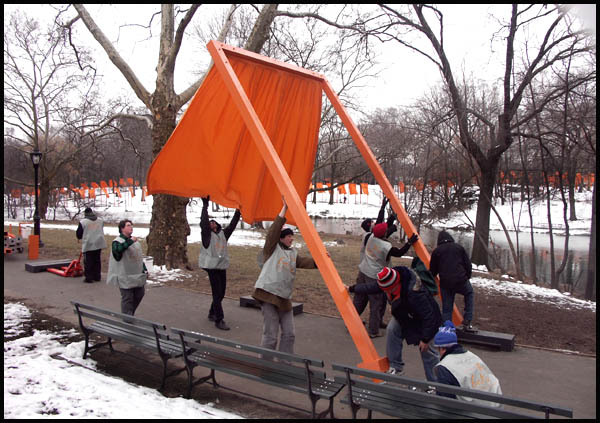 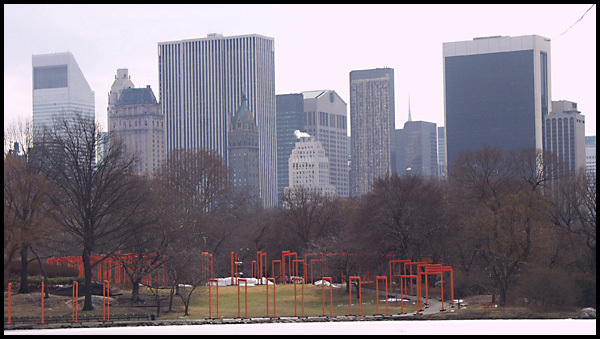 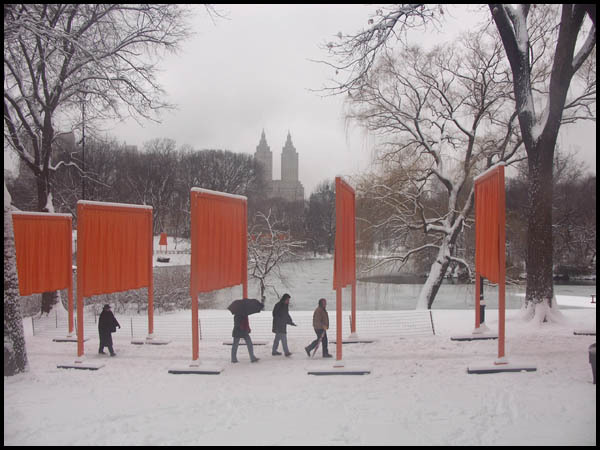 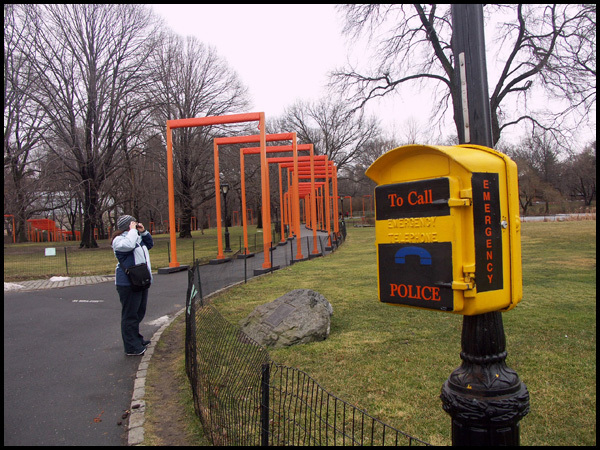 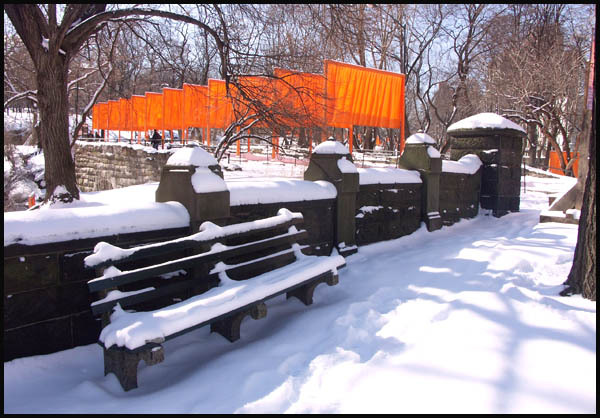 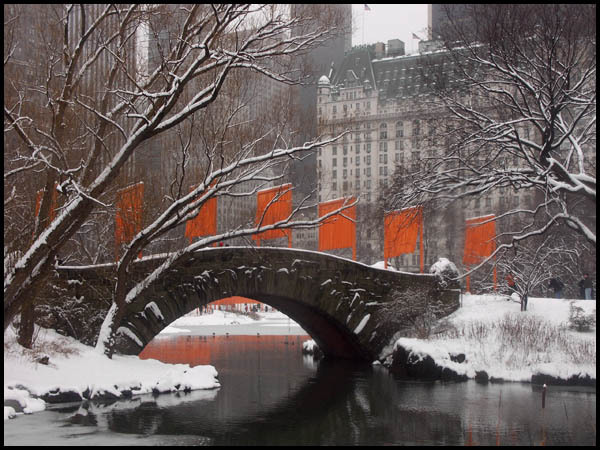 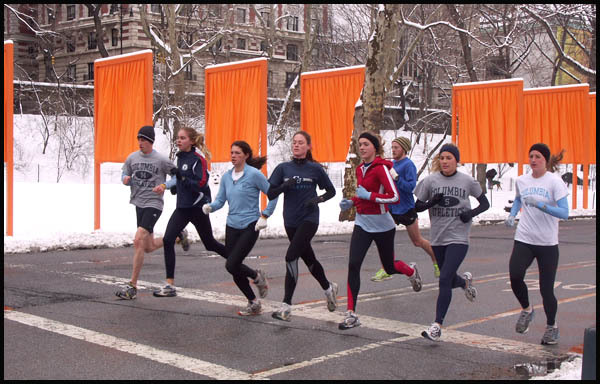 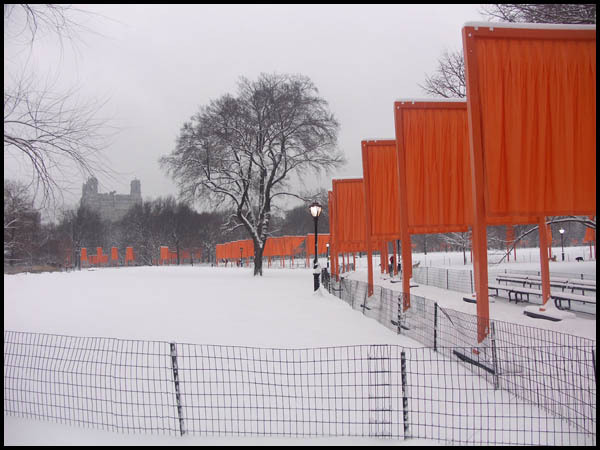 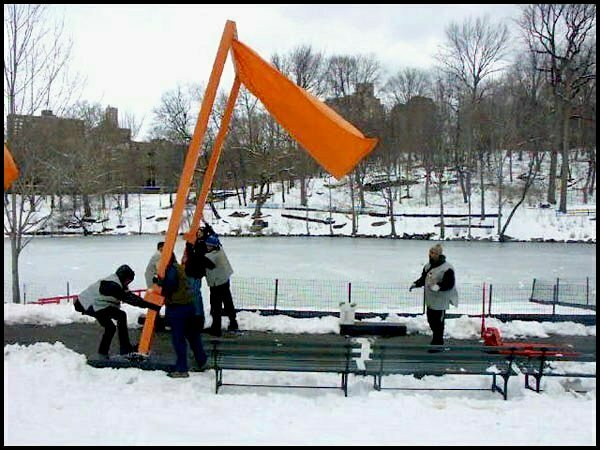 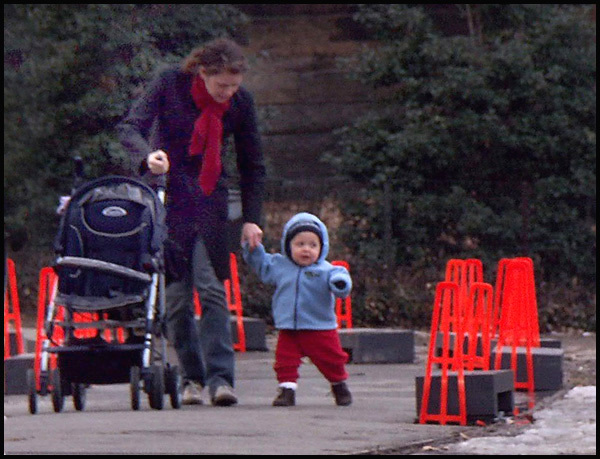 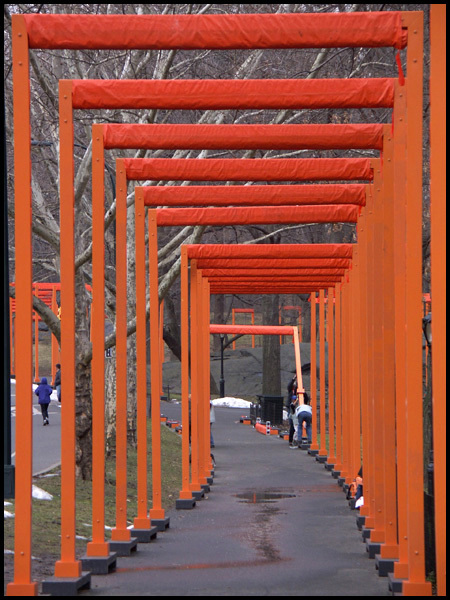 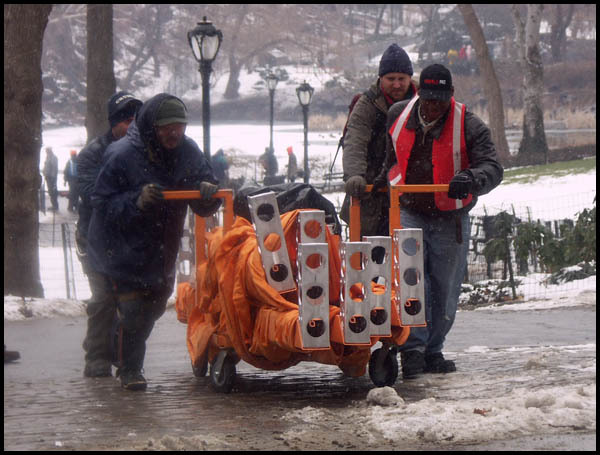 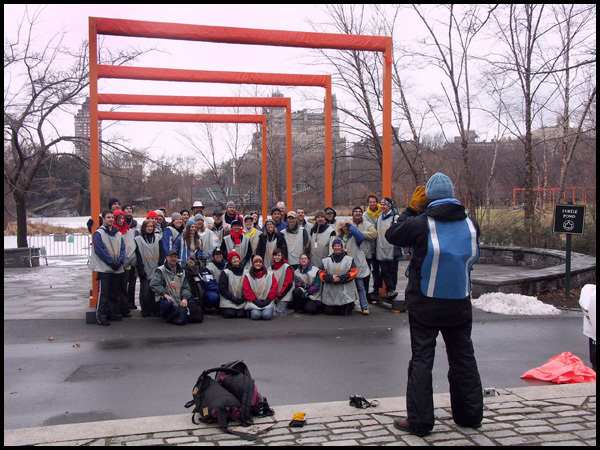 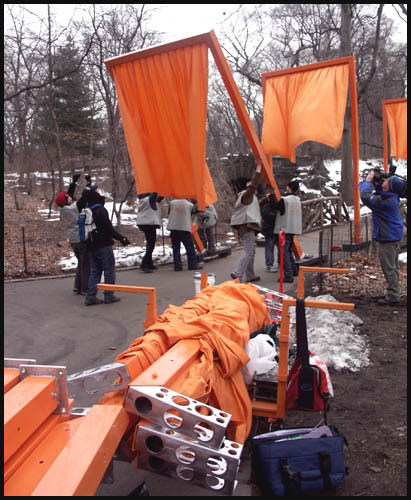 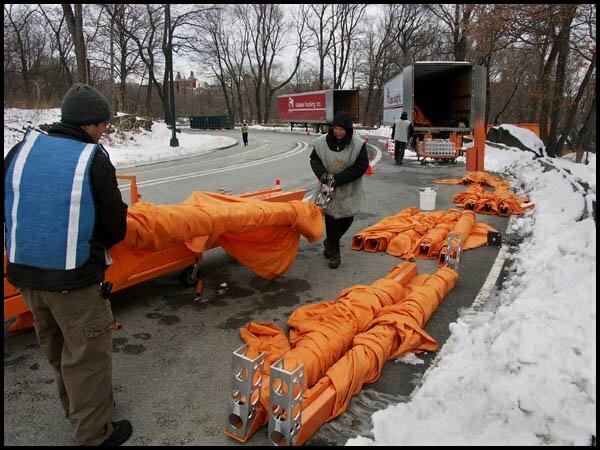 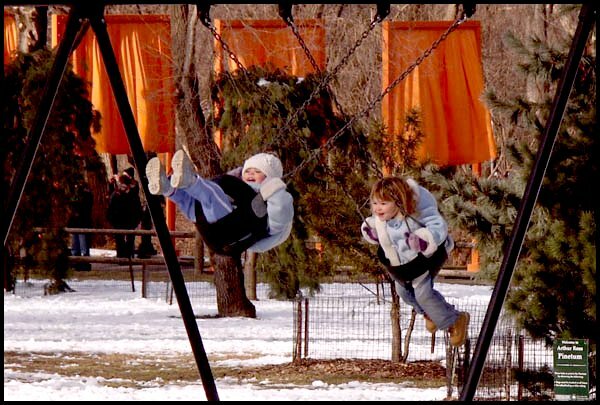 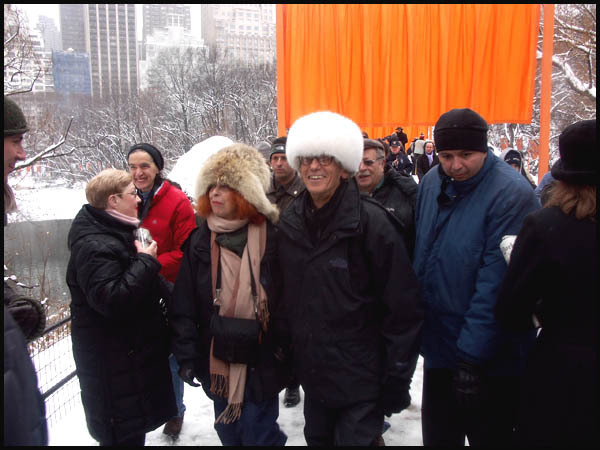 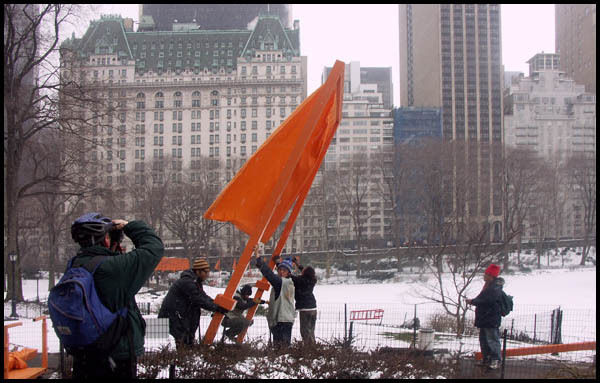 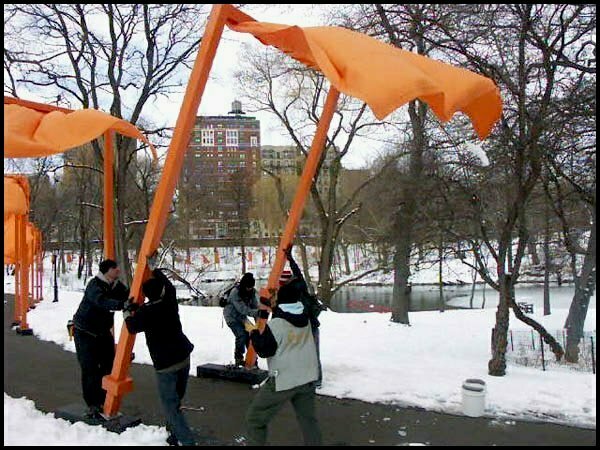 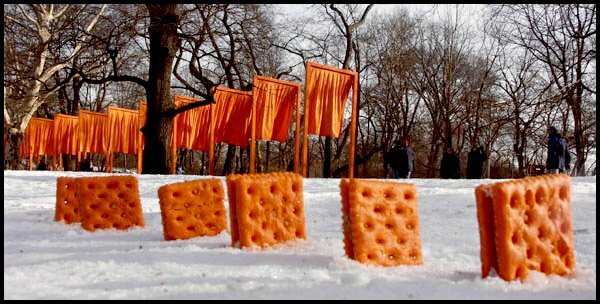 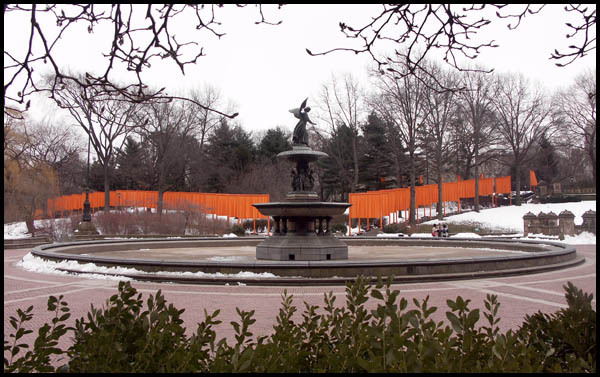 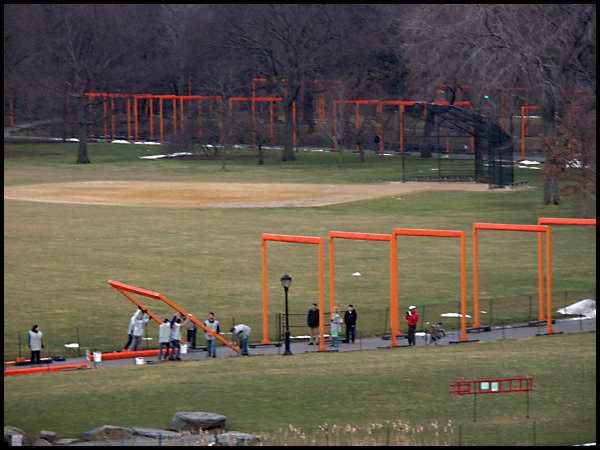 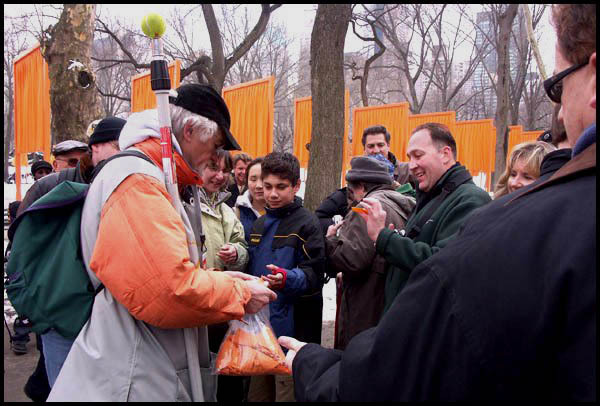 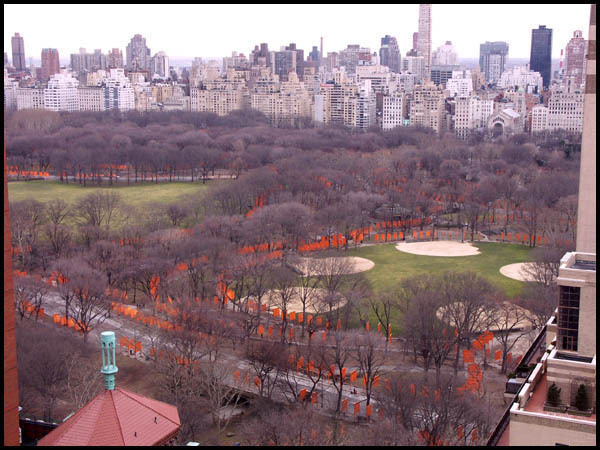 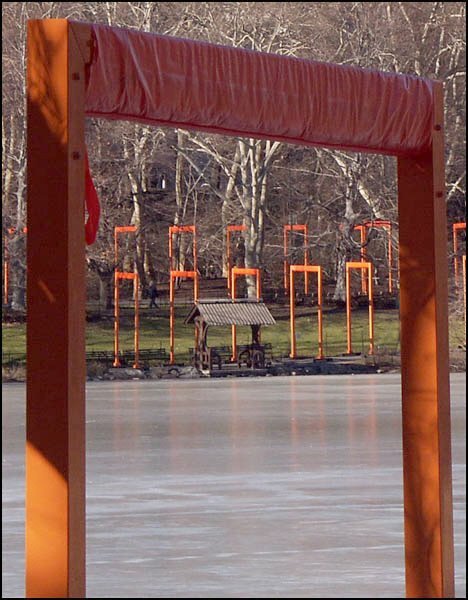 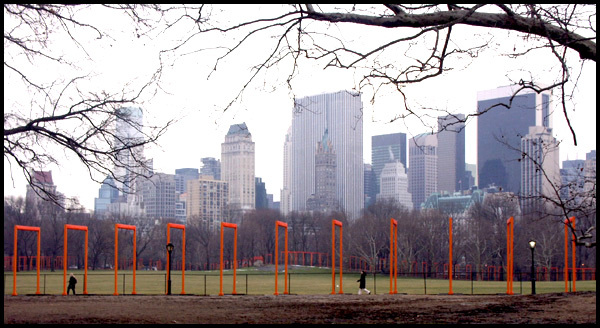 * The Gates was unfurled in Central Park, New York City on February 12, 2005, weather permitting, and will remain through February 27, 2005. 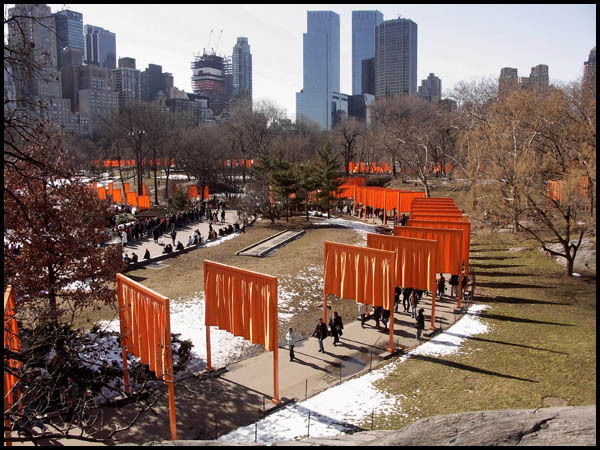 * 7,500 gates, 16 feet high (4.87 m) with a width varying from 5 feet 6 inches to 18 feet (1.68 m to 5.48 m) will line 23 miles (36.8 km) of footpaths in the park. 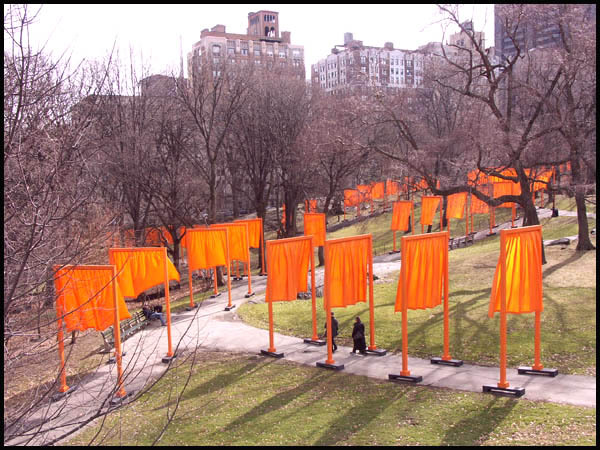 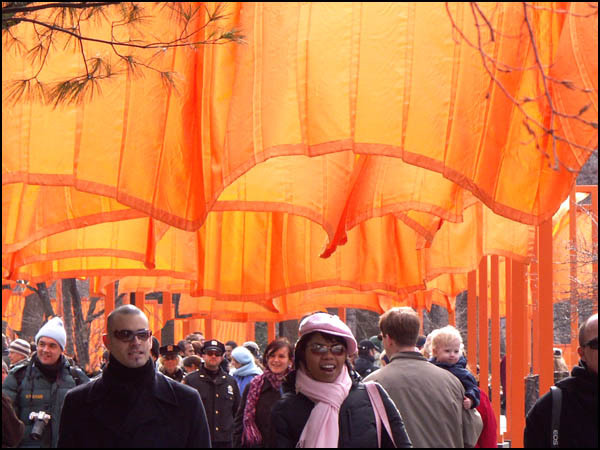 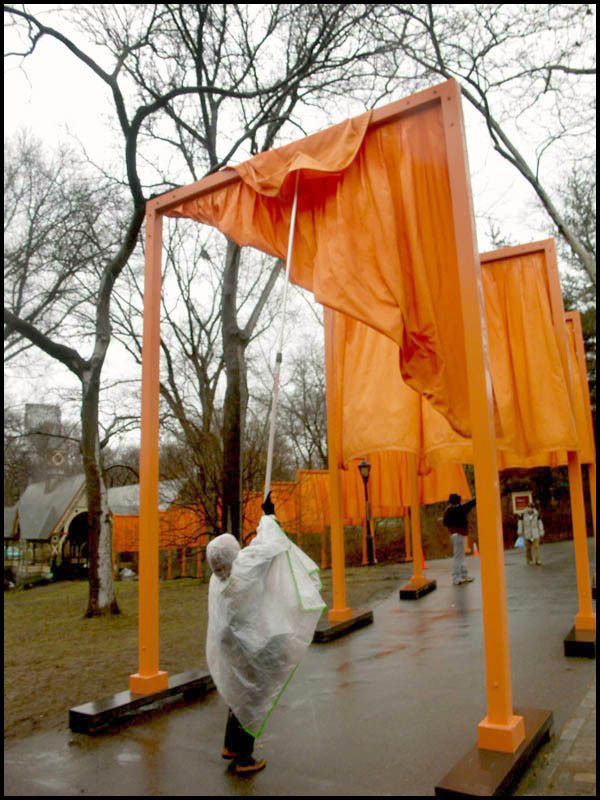 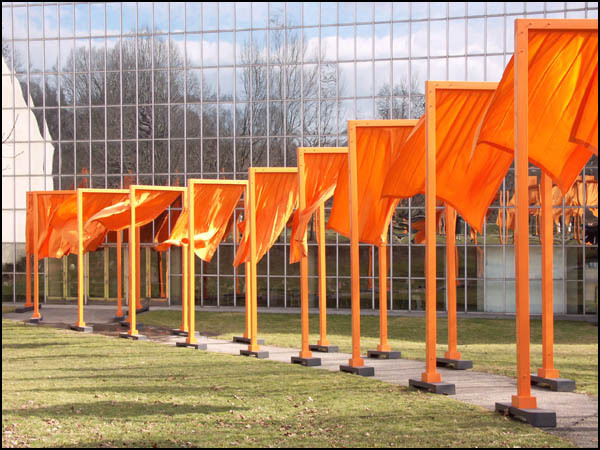 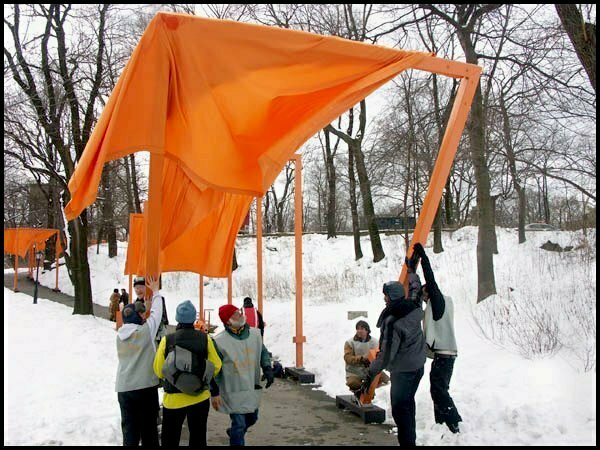 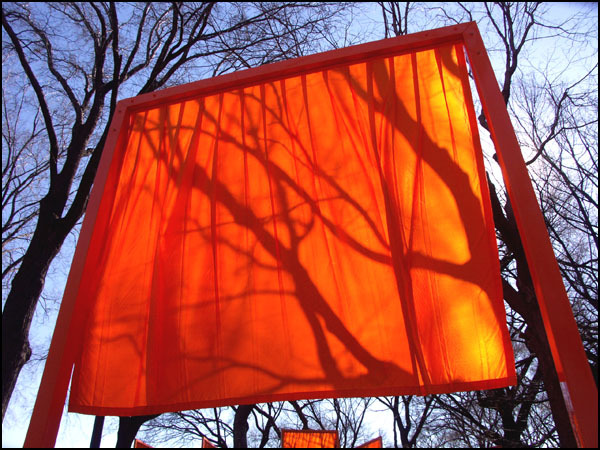 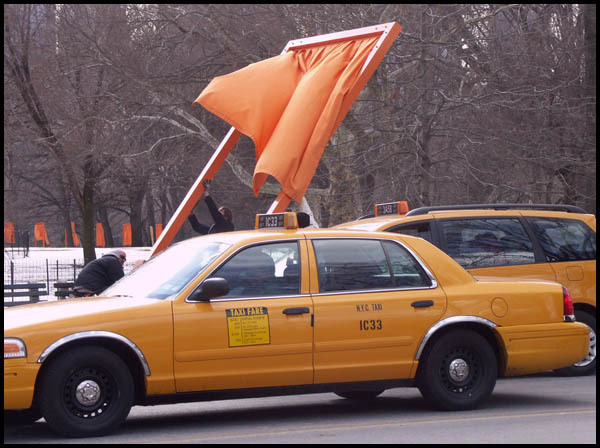 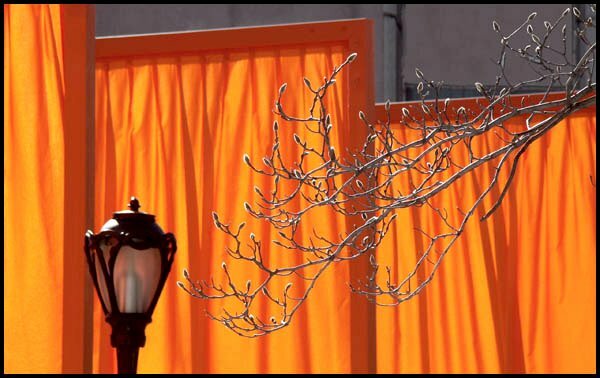 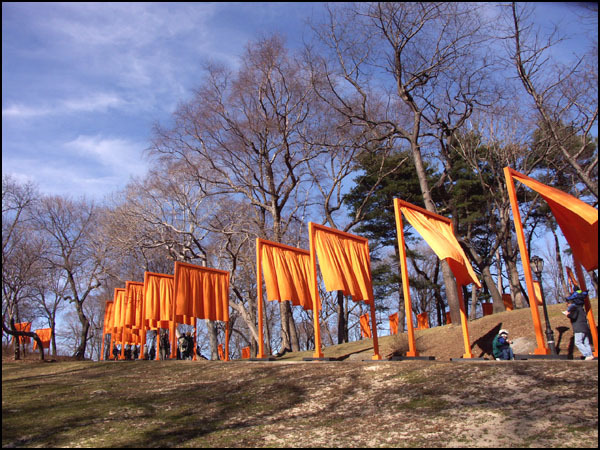 * Free-hanging, saffron-colored fabric panels will be suspended from the top of each gate and hang down to 7 feet (2.13 m) above the ground. 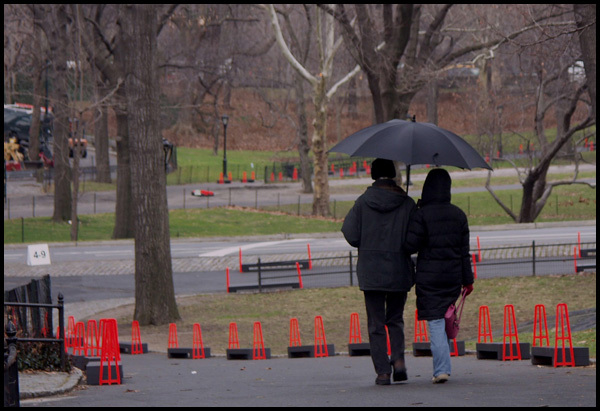 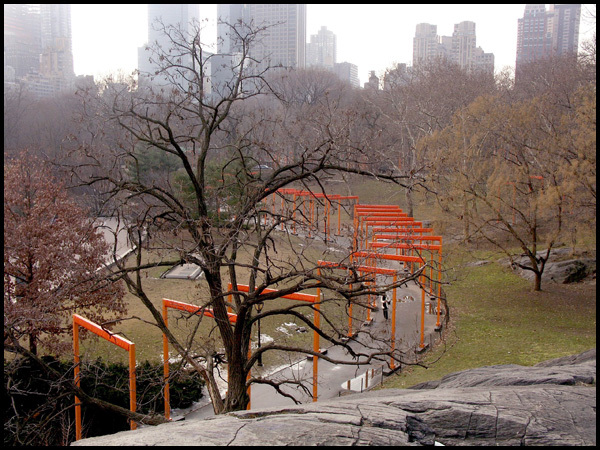 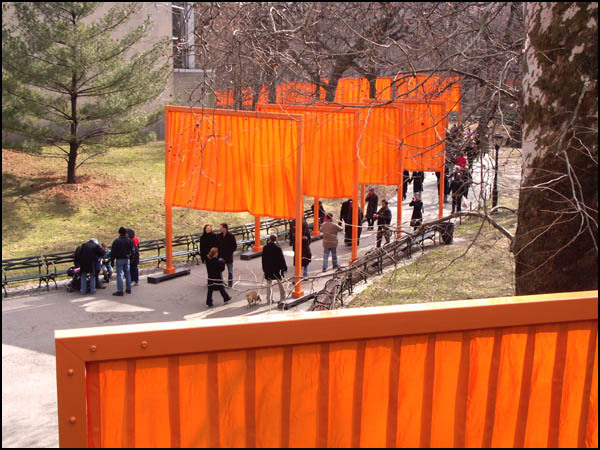 * The Gates will be stationed approximately 12 feet (3.65 m) apart, except when low branches extend above the walkways. 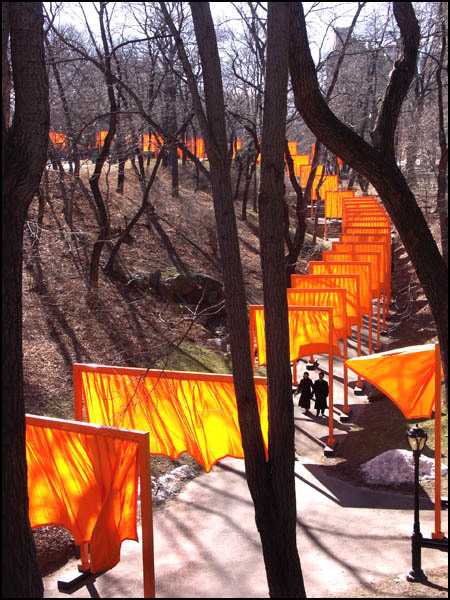 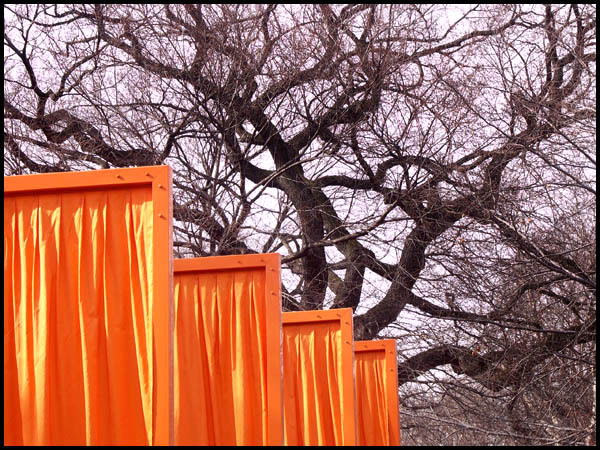 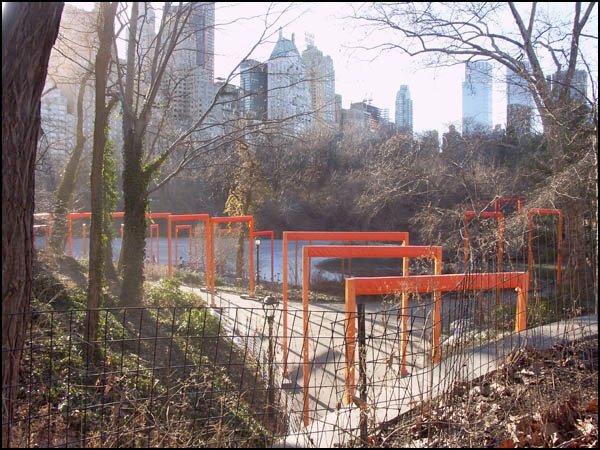 * The Gates will create a visual golden river appearing and disappearing through the bare branches of the trees, highlighting the shapes of the footpaths. 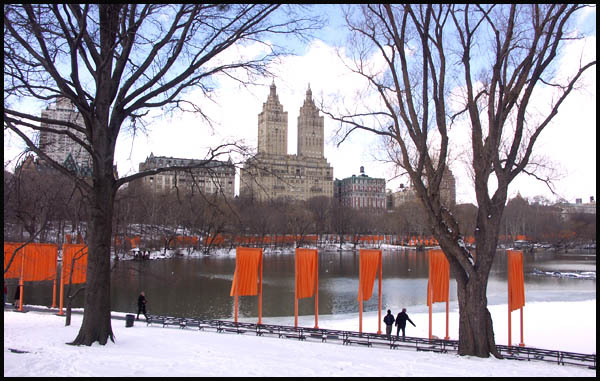 * The luminous moving fabric will underline the organic and serpentine design of the walkways, while the rectangular poles will be a reminder of the grid pattern of the City blocks around the park. 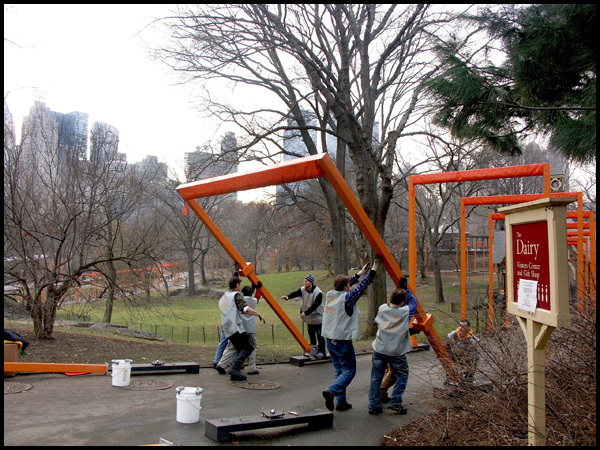 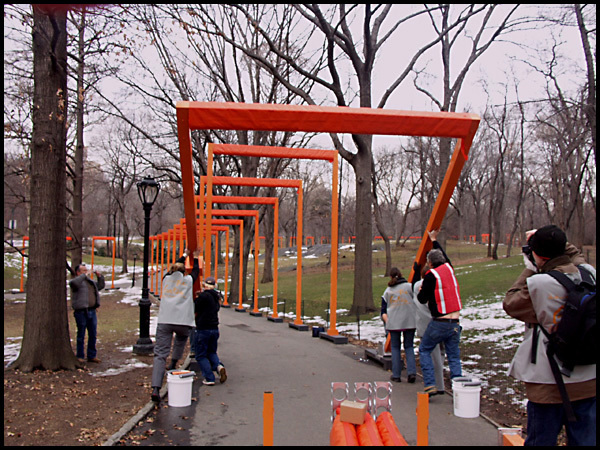 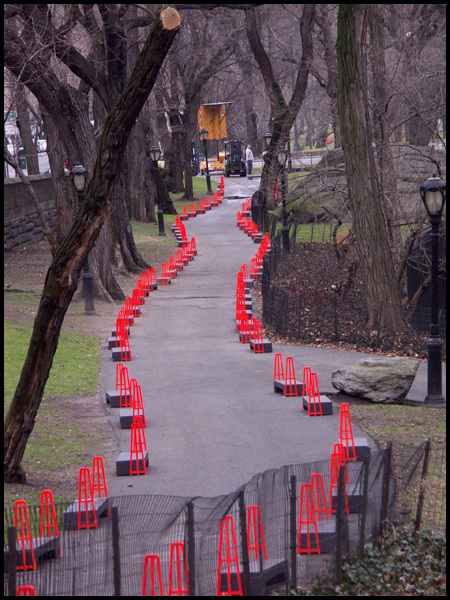 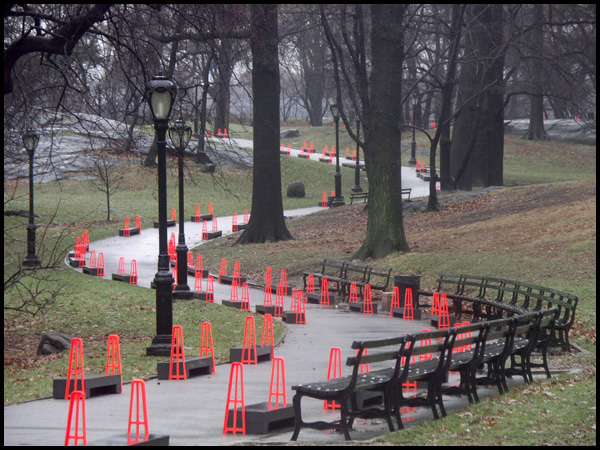 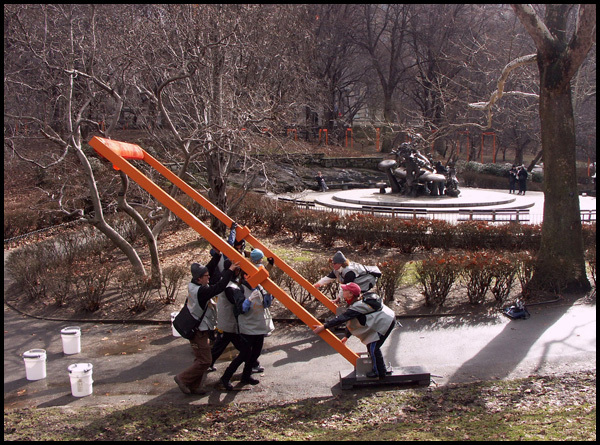 * The project will provide employment for hundreds of New York City residents, hired to assemble, install, maintain and remove the installation. 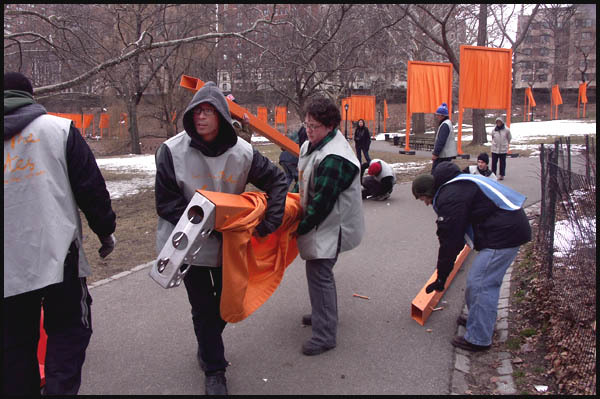 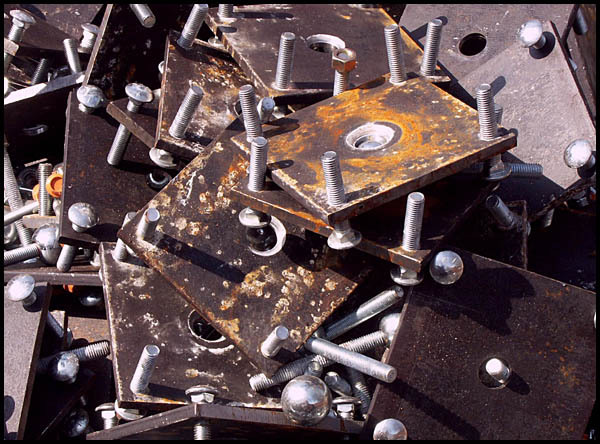 * After The Gates is removed, most of the materials will be recycled. 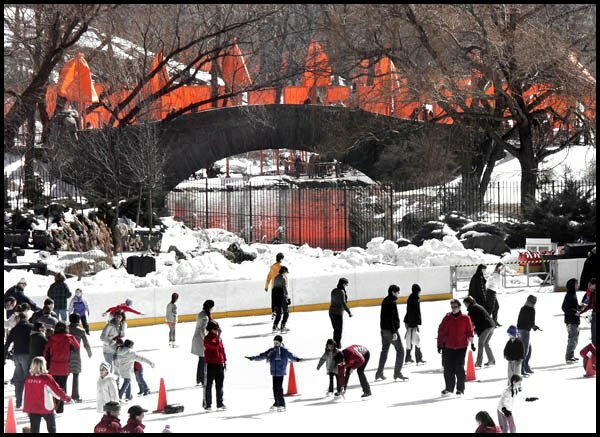 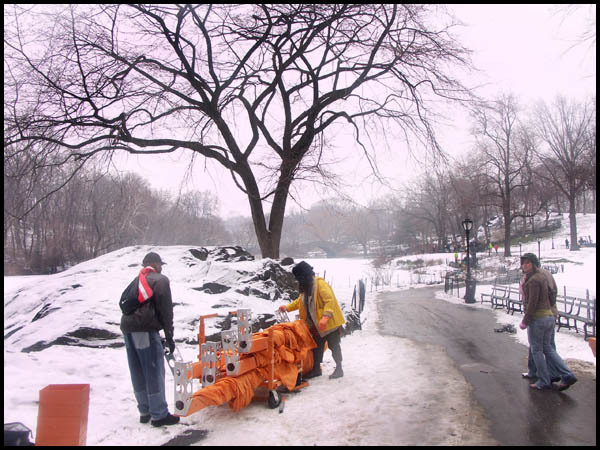 * As always, Central Park will be open to the public, free of charge, during The Gates. 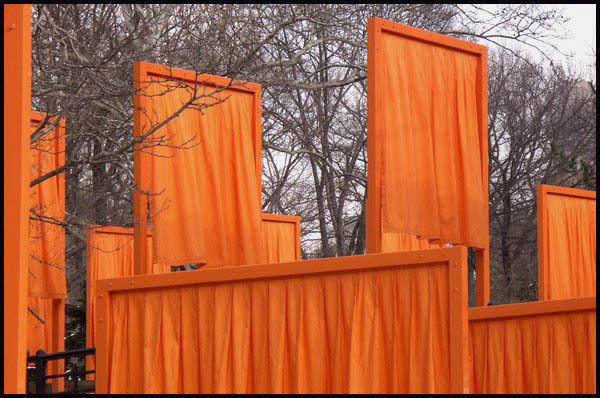 * The Gates is financed entirely by the artists, who do not accept sponsorships. 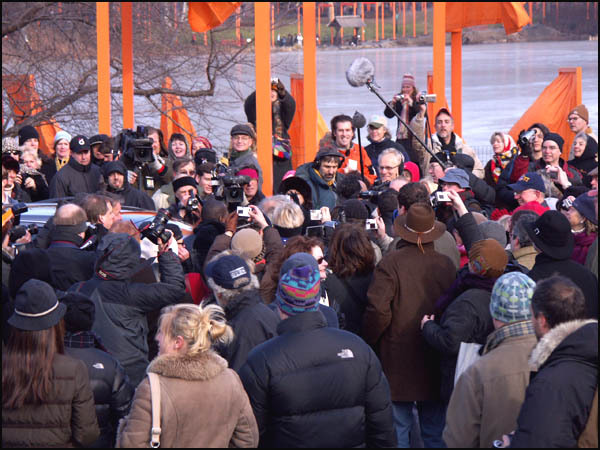 The public will bear no expense of any kind.